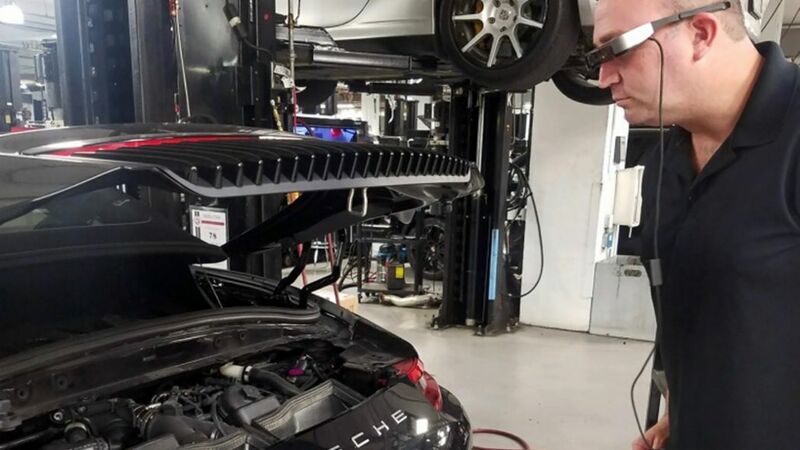 “Tech Live Look” uses the AiR Enterprise™ software platform from Atheer, Inc., a leading provider of AR solutions, in conjunction with lightweight smart glasses. These high-tech spectacles feature the latest in projection technology and come equipped with a high-resolution, auto focus camera that shows even fine details such as threading on screws. The glasses include a powerful LED to illuminate dark spaces in the engine compartment or under the car. How does this technology work? When a service technician at a dealership in Los Angeles dons this specialized eyewear and connects through the software with the Atlanta-based Porsche technical support team 2,200 miles away, it allows the support team to see exactly what he is seeing, in real time. This “see what I see” videoconferencing capability with instant access to remote experts allows both parties to quickly identify and resolve technical issues. 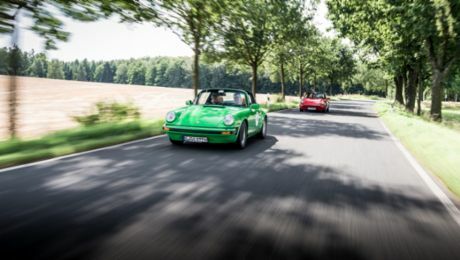 It can also help decrease service resolution time by up to 40 percent, based on the findings of a pilot program undertaken in July 2017 at eight Porsche dealerships in California, Florida, Indiana, New Jersey, and Washington, along with one in Canada. 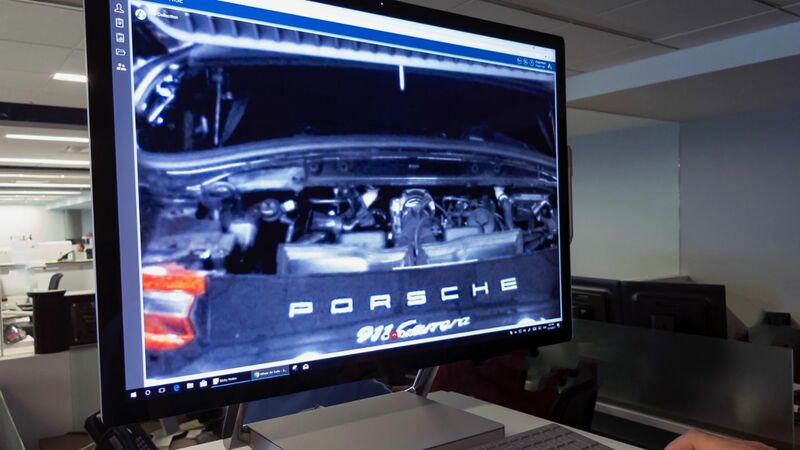 allows the technical support team to take screen shots or send technical bulletins and instructions onto the projection surface of the glasses while the service technician is working on the vehicle. This type of information exchange is far more efficient than sending emails and photos or explaining complex technical issues over the phone. “Tech Live Look” will officially launch in dealerships in North America in 2018. Chris Drummond raises awareness of early diagnosis of cancer with his RATP88.